Christian Reif's specially curated program nurtures musical curiosity and engages young minds! 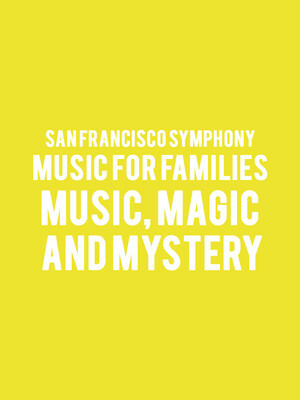 Why See San Francisco Symphony- Music for Families - Music, Magic, and Mystery? San Francisco Symphony's resident conductor Christian Reif welcomes little listeners for a very special family-friendly concert under the Music For Families series headline. Aimed at engaging young minds and sparking musical curiosity, this specially curated program aims to clarify the mystery of classical music by celebrating its magical moments, when harmony and melody collide in firework-like explosions of creative genius. Recommended for children aged 5 and over, the Music for Families affordable programs are performed in relaxed atmospheres and bolstered by interactive elements throughout, as well as online activity guides to keep kids musically engaged at home. Head to the Davies Symphony Hall lobby early for pre-concert activities including a petting zoo, coloring stations and photo opportunities with the conductor! Sound good to you? 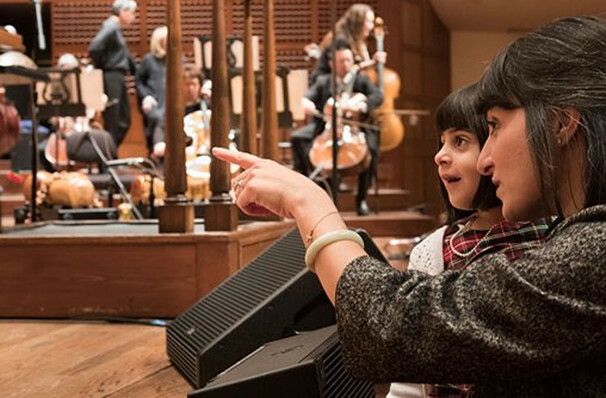 Share this page on social media and let your friends know about San Francisco Symphony- Music for Families - Music, Magic, and Mystery at Davies Symphony Hall. Please note: The term Davies Symphony Hall and/or San Francisco Symphony- Music for Families - Music, Magic, and Mystery as well as all associated graphics, logos, and/or other trademarks, tradenames or copyrights are the property of the Davies Symphony Hall and/or San Francisco Symphony- Music for Families - Music, Magic, and Mystery and are used herein for factual descriptive purposes only. We are in no way associated with or authorized by the Davies Symphony Hall and/or San Francisco Symphony- Music for Families - Music, Magic, and Mystery and neither that entity nor any of its affiliates have licensed or endorsed us to sell tickets, goods and or services in conjunction with their events.